A wide range of carbon dioxide removal (CDR) strategies has been proposed to address climate change. As most CDR strategies are unfamiliar to the public, it is unknown how increased media and policy attention on CDR might affect public sentiment about climate change. On the one hand, CDR poses a potential moral hazard: if people perceive that CDR solves climate change, they may be less likely to support efforts to reduce carbon emissions. 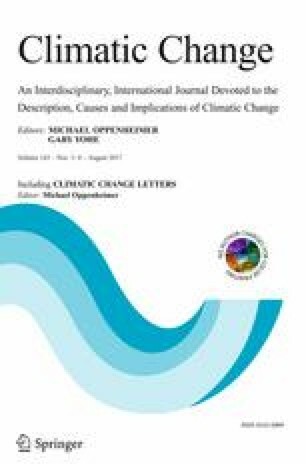 On the other hand, the need for CDR may increase the perceived severity of climate change and, thus, increase support for other types of mitigation. Using an online survey of US adults (N = 984), we tested these competing hypotheses by exposing participants to information about different forms of CDR. We find that learning about certain CDR strategies indirectly reduces support for mitigation policies by reducing the perceived threat of climate change. This was found to be true for participants who read about CDR in general (without mention of specific strategies), bioenergy with carbon capture and storage, or direct air capture. Furthermore, this risk compensation pattern was more pronounced among political conservatives than liberals—although in some cases, was partially offset by positive direct effects. Learning about reforestation, by contrast, had no indirect effects on mitigation support through perceived threat but was found to directly increase support among conservatives. The results suggest caution is warranted when promoting technological fixes to climate change, like CDR, as some forms may further dampen support for climate change action among the unengaged. The online version of this article (doi: 10.1007/s10584-017-2005-1) contains supplementary material, which is available to authorized users. This research was funded by a Beyond Carbon Neutral grant from the University of Michigan Energy Institute. We are grateful to Daniel Raimi, Paige Fischer, and Brian Ellis for their feedback on the carbon dioxide removal technology vignettes. The authors wish to thank the two anonymous reviewers who provided comments on the earlier versions of the manuscript. All authors contributed equally to the design, data collection, analysis, and write-up of this study. This research was reviewed and approved by the University of Michigan’s Health Sciences and Behavioral Sciences Institutional Review Board; standards for obtaining informed consent from study participants were followed.